If you reside in the state of Texas, you are now able to get a restriction code directly on your driver license (or State ID) stating you are hearing impaired or deaf. It’s called Communication Impediment with a Peace Officer and it is available to anyone challenged with communication such as Deafness, Autism, Asperger Syndrome, Parkinson’s, Mild Intellectual Disability, Down Syndrome, Mutism, PTSD and more. 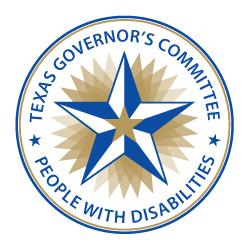 This is the same campaign Aspergers101 initiated over 2 years ago resulting in Texas Legislative changes, however now the campaign is alerting residents statewide of the broader options, notably, the 7% who are hearing impaired. Emma Faye Rudkin, has graciously accepted the role of spokesperson in our statewide Public Service Campaign now airing throughout Texas. Emma is profoundly deaf since an early age illness but has become a major advocate for those who cannot hear. She is the founder of the non-profit organization Aid the Silent, in 2017 became Miss San Antonio and San Antonio Woman of the Year in the SABJ 2018 class of 40 Under 40. Her faith in Jesus is her strength and her passion for others drives her onward. She is inspired and inspires. 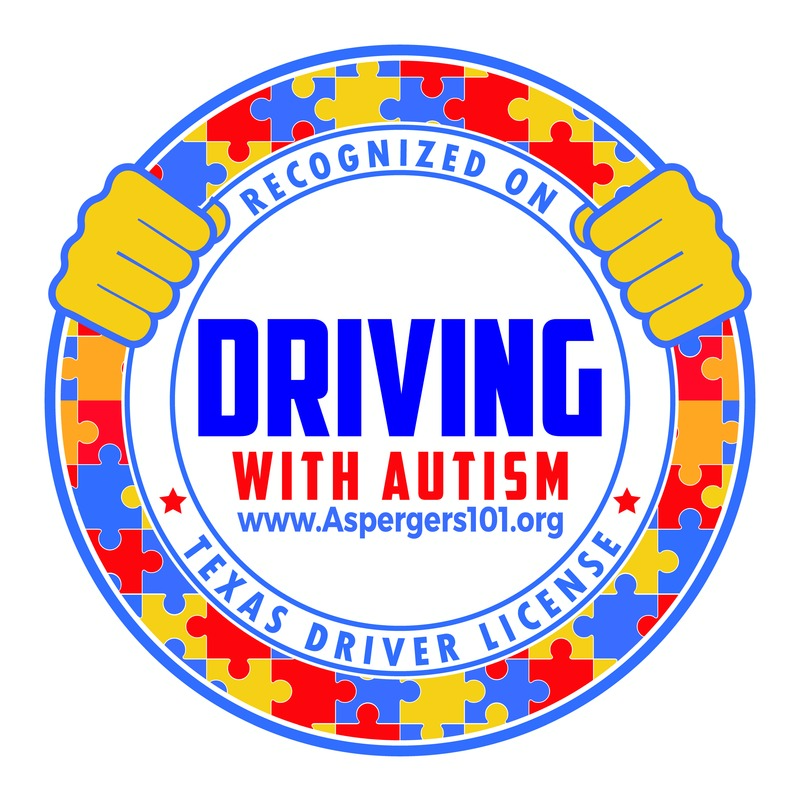 We at Aspergers101 are grateful for Emma’s participation in the Driving with Autism and other Communication Impediments initiative in alerting others of the new driver license code. The :30 PSA, as seen below, notifies drivers of the code and how it may save them in a pull-over scenario. 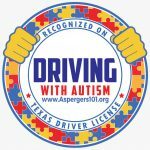 AS101: Why do you think this new Texas DPS code is a good thing for those who are deaf or hard of hearing? Emma Faye Rudkin: The new restriction code is crucial as a deaf person. My biggest anxiety while driving is being pulled over and unable to understand the officer. This removes a lot of barriers for deaf people and it is clearer than the old code. Officers need to be notified right away as they look at my license instead of me struggling to explain that I am deaf and need help communicating. The new code makes it obvious for the officer at the beginning to understand I cannot hear his instructions and questions. the officer is not aware they cannot hear him or her. The consequences could be dire and this new restriction code prevents any misunderstanding at the first encounter. AS101: What are some of the challenges facing drivers who have a loss of hearing? Emma Faye Rudkin: It is important for me because I can voice for myself and many people mistake it for a foreign accent although I am profoundly deaf individual. My ability to talk does not mean I can hear anything the officer is saying on a loud freeway. Especially for those of us dependent upon sign language, we need access to an interpreter right away. AS101: Why did you decide to be the spokes person in the newly released Public Service Announcement? Emma Faye Rudkin: This is personal for me as I have been pulled over by an officer who mistook my speech for being under the influence and my lip-reading to communicate with my passenger for swerving on the road. It become obvious that I was completely coherent and a capable driver but there were a few minutes of anxiety. I cannot hear on the interstate or loud roads. I work with deaf teenagers all the time and their families, and this is a constant concern. For my deaf friends, I want to help put them at ease as they drive and live everyday life. I want to eradicate this problem between officers and citizens in communication barriers. Emma Faye Rudkin: On September 29th, 2018, we will host the 2nd year of Good Vibrations Music & Arts Festival. The event is completely deaf-accessible but this year, my heart is to make it accessible for all people. This summer I will be taking under 30 deaf high school and middle school student to experience camp. Aid the Silent in the process of many applications for hearing aids, FM systems, classroom equipment and amazing resources for deaf and hard-of-hearing children and teens. AS101: Any additional thoughts for our readers? Emma Faye Rudkin: My mission to bring light that businesses and organizations need to start thinking about the smaller groups of people who are left out. I will always fight for the “one” and the unseen so I am thankful to be a part of this advocacy movement for drivers with different needs. Driving is a privilege that comes with a responsibility to follow the rules of the road. Traffic stops can be stressful for any driver as well as the law enforcement officer during an encounter. In particular, anxiety levels may heighten for drivers who are deaf and concerned about being able to effectively communicate with the officer. Although uniforms and badges may help us to identify our public safety officials, it’s not as easy for law enforcement to identify people who are deaf. 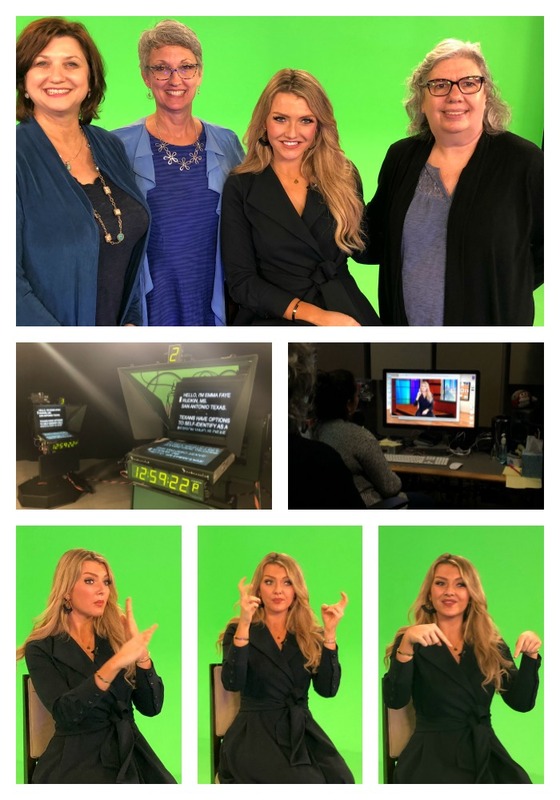 We are delighted to see this PSA that makes drivers and law enforcement alike aware of the new voluntary designation on driver’s license for people who are deaf. This new designation should help to alleviate some concerns about communication barriers that may exist between law enforcement and drivers who are deaf.